A water painting by Claude Buckle to illustrate figure painting. 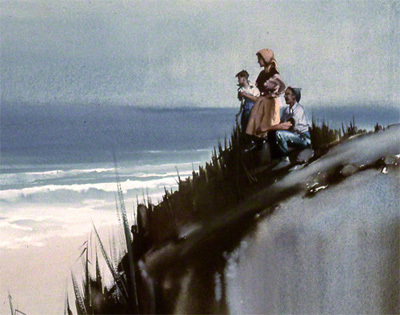 The picture shows a group, one women and two men waiting and watching the shore line for an event which is out of sight. Created in 1969.